Are you in the market for a quality used Minivan For Sale in Columbus? Here at Acra Pre-Owned Superstore in Columbus Indiana, we have many Used Minivans for sale near you. The one featured here is a 2017 Chrysler Pacifica Touring L-Plus FWD. It comes with Automatic Transmission. The exterior is Brilliant Black Crystal Pearl coat with Toffee/Cognac/Alloy Interior color and is also Leather. This Chrysler Minivan For Sale has 14,184 Miles on it. The transmission is 9-speed 948 FWD and has front wheel drive. 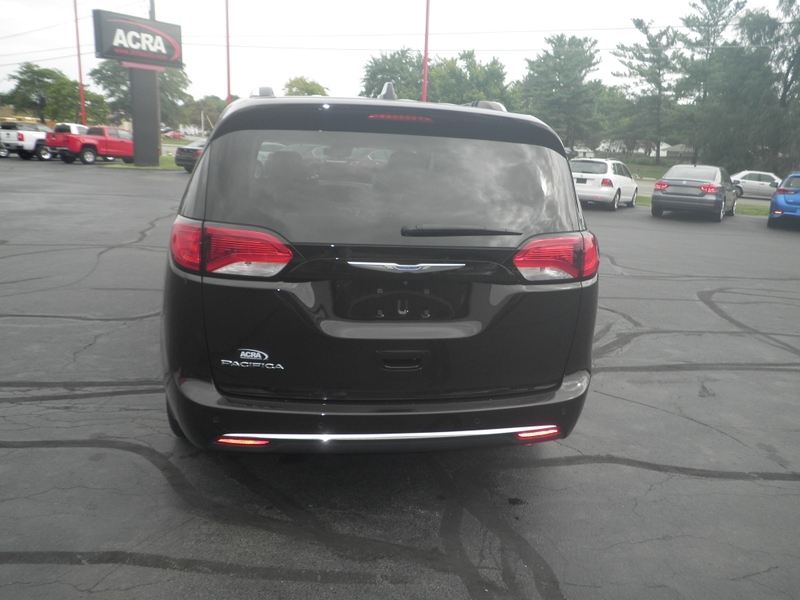 This Chrysler Pacifica has AC with Dual Climate Control which is a must when you have two people in the front. You can adjust the temperature to your specific needs, and the other person can change the temperature to suit their comfort. It also has heated seats so in the winter you can feel nice and cozy warm when its cold out, you can get into this Minivan and get comfortable sooner than having to wait for the heat to warm up the vehicle. This Minivan For Sale Near You has a Keyless Remote Entry, Keyless Start and what's even better it has a Remote Engine Start which means you can start the vehicle before you ever get into it. That's ideal when its cold out, or even in the summer when it's too hot to get into your car, you can start the AC first for a few minutes and then hop right in and be on your way in the soothing comfort of your Used Chrysler Minivan. This Minivan has some desirable features you have been looking for, with Navigation you will never have to worry about getting lost when traveling or going to an appointment in a location you are not familiar. This feature will become your favorite because you will use it more often than you think to get to your desired destination. This Minivan also has a hands free Communication System and Electronic Messaging System which keeps your hands on the Steering wheel and not on your cell phone. It also comes with a backup camera. This feature is invaluable, and it is essential to have when you are backing out of tight spaces, parking lots, and parallel parking if you are somewhere that you have to do that. When you are in a parking lot, the backup camera will show all of your surroundings, will alert you if people are walking behind your vehicle and even when other cars are coming up behind you, it is a beautiful feature to have in your Chrysler Minivan. This Minivan For Sale Near Columbus comes with Bluetooth, Satellite Radio, WiFi Hotpot Capability, and it has an Entertainment DVD Package with a Premium Sound System which is fantastic if you have small kids or even teenagers, especially on those long trips. This Used Chrysler Minivan has third-row seating, so if you have a big family, carpool or even going on Vacation, there is plenty of room for everyone. This Minivan also has Power windows, Power locks, and steering wheel controls as well as cruise control. This Chrysler Pacifica has a roof luggage rack, heated mirrors, rear window defroster, a power lift-gate, power front and passenger seats, quad bucket seats and a power fourth passenger door. 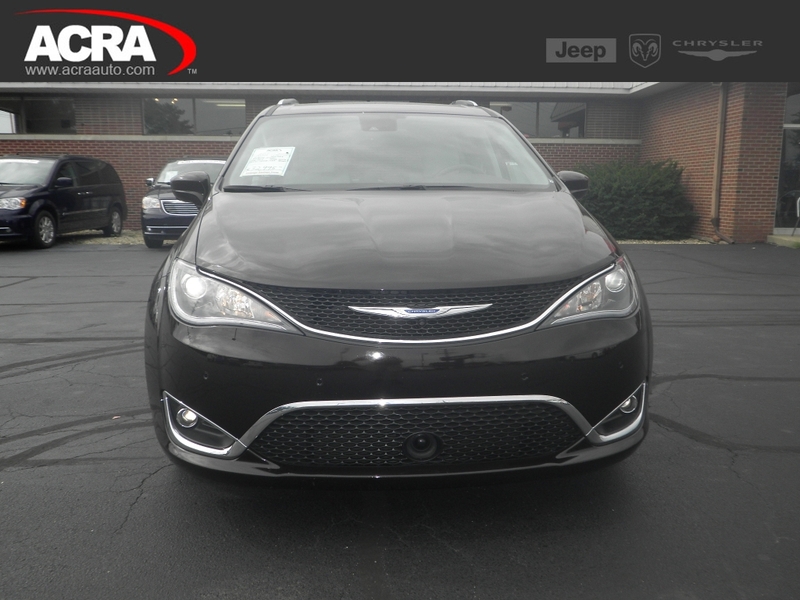 This Chrysler Pacifica Touring L plus FWD has all the features you are looking for in a quality used Minivan. So come see us At Acra Pre-owned Superstore in Columbus IN.at 2820 N National Rd, Columbus, IN.